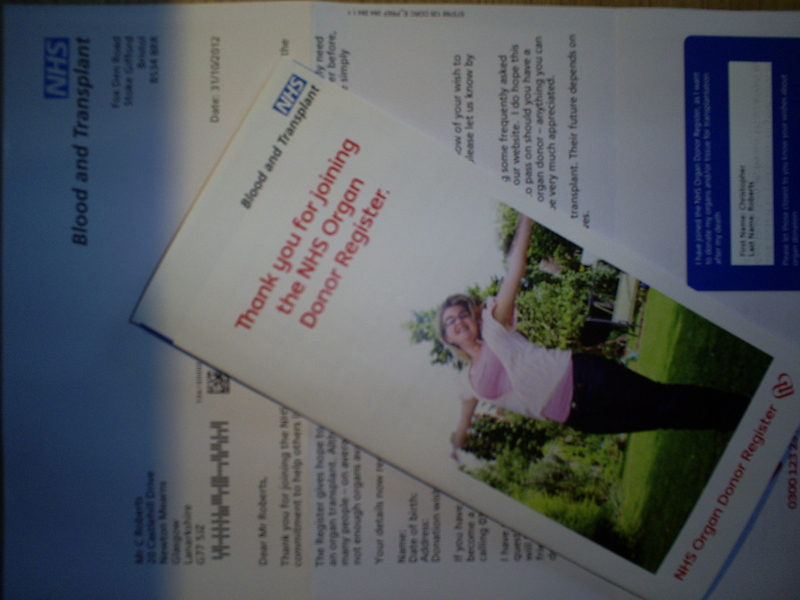 In the UK, we currently use an opt-in policy for organ donation. This means that, in order for a person’s organs to be used medically once they have deceased, they have to have registered and given their consent to be an organ donor during their lifetime. From the current statistics which I could source, this currently stands at 62% of the British population, with as low as a 34% consent rate among potential black, Asian, and minority ethnic donors. In my opinion, with the current rapid advancements in medical science and increased opportunities to save lives, not having the supply of organs available for treatment is preposterous; and it stems from this ludicrously outdated ‘opt-in’ policy. Let’s take Austria as an example on the other hand; that beautiful central European country with its mountainous terrain, incredible architecture, dynastic history, and a 99.8% organ donation consent rate. What makes the difference between this near perfect registration figure and the measly 12% of the population being registered in bordering Germany? Austria has an ‘opt-out’ policy; meaning that, unless you have specifically refused, there is presumed consent that you intend to donate your organs to medical use when they expire. Now I get it, people are lazy (sorry, busy). Joining, or removing, themselves some arbitrary list is not exactly top of their priorities list. What happens if we had an ‘opt-out’ policy in the UK and someone’s organs were accidentally donated because they forgot to untick the box? The grieving family would be distraught. Well, tough. If you are too dumb to request to keep your organs when you have the option, then you don’t deserve to have them; especially when they are of zero use to you. I have not yet come across a single rational argument as to why we have not followed Austria in changing to an ‘opt-out’ organ donation policy. But, ‘just as we should not dictate how other people live, we should not dictate how they die,’ said Victoria from Staffordshire when yougov.co.uk conducted a survey on this very issue. Well, Victoria, first of all, nobody is dictating how a person dies. I’m not standing there with a gun in one hand and a hacksaw in the other, asking them which vital sign I should render useless first. Just opt-out. It’s in the name, it’s an ‘option’. But, ‘this issue is a very sensitive one and I feel it should be entirely voluntary,’ said Golfy from Lincolnshire. Are you as stupid as your name sounds, Golfy? What part of this entire suggestion is not voluntary? Unless you are illiterate, it takes no more, and no less, effort to untick a box as it does to tick a box. But, ‘an opt-out system will be costly and complicated to implement- as it is, the system is easy to manage,’ argued Frances from Suffolk. Sorry Frances, let’s not let administration concerns get in the way of saving human lives. Please, please, please. If you haven’t already done so, then register. It can be done online in less than five minutes, and may well help save one, if not more lives. Take my lungs, take my kidneys, take my heart; God knows girls have in the past and I never gave them permission. New life goal: Be the skeleton hanging at the front of a middle-school biology classroom. Isn’t is also a rather nice, albeit nihilistic, thought as well that you could still be able to help the world even once you’ve passed?